Recently I upgraded my currently installed Synaptics touchpad driver to version 15.x, and found that I no longer had the middle-click effect by pressing both right and left click buttons.There were no options in the settings to enable that functionality within the touchpad manager. After a bit of research I found a simple solution that worked for me on all my Synaptic equipped systems. Here create a new key as a DWORD and name it as 'HasBothButtonFeature' without the quotes and set the value to 1. It worked fine for me on a few PC’s, reach out via my Contact Form if it doesn’t work for your application. 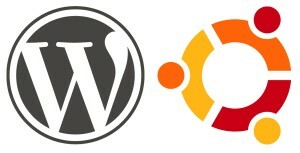 This assumes you have already created a basic Ubuntu server in which to install WordPress. 3. install ssh: This will make it much easier to configure remotely using an application such as Putty or any other such utility. Choose a password when prompted. I’m writing this intending to come back later and add more information. 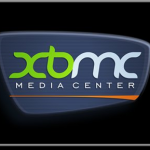 This website is currently being served by utilizing the WordPress content management system (CMS). That’s like Windows to Android to Apple. Alternative CMS such as Joomla, Drupal, and TikiWiki are similar to WordPress in the website delivery but each has its own unique advantages over the other that may matter to your specific needs. I had no specific needs aside from a single page blogroll and thought the WordPress platform would be quick and easy enough to set up and use.